Money management can be so overwhelming and complex that it’ll cause even the most financially-savvy freelancer or solopreneur to need a break (or a shot…or a shopping spree). 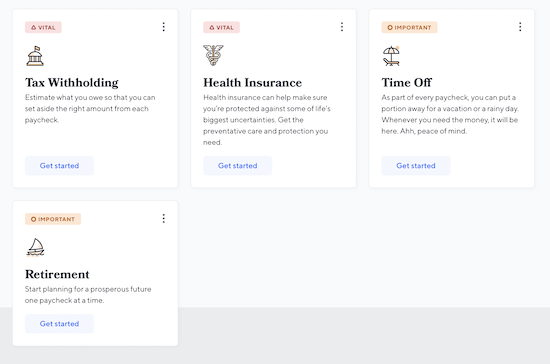 Financial tools have a tendency to be overflowing with features, making them a pain to figure out, bulky to use and ultimately un-efficient. Some micro-manage your accounts to the point where you’re sent an email and mobile alert every time you buy a cup of coffee. Catch doesn’t try to be everything at once. 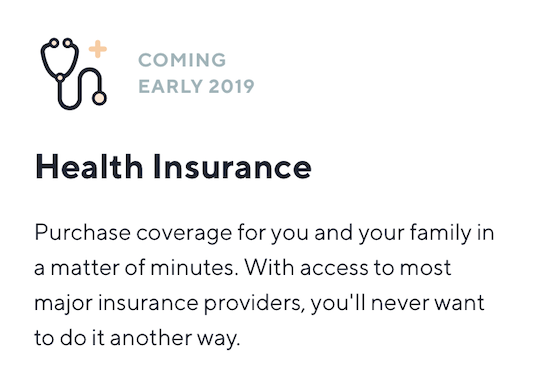 Instead, it handles one thing for you: savings. That could mean saving for a rainy day or saving for retirement, with some insurance options sprinkled in. 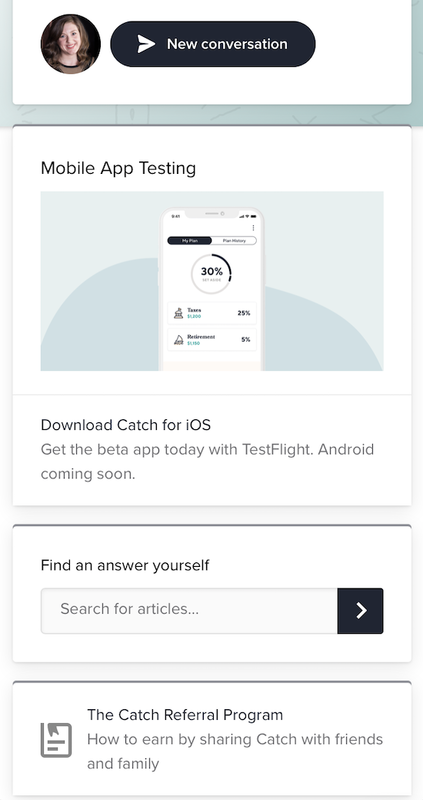 I took Catch for a test drive to determine if it’s as useful and simple as its minimalist appearance makes it seem. From the homepage, I click the “Get Started” button on the top right, which brings me to a new page to create my account. I enter my email address and a password, and then check my mail to verify. After verifying, I’m asked to add more information. Some are marked “Vital” while others are marked “Important,” which tells me which ones I should prioritize. 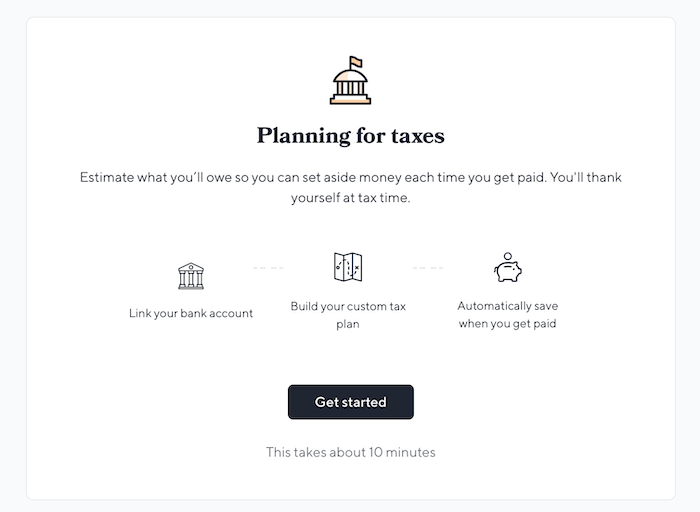 After linking my bank account, I receive a recommendation for how much I should set aside per paycheck for taxes. The recommendation is an estimate; it’s not 100% guaranteed that this is how much I’ll be paying in taxes. The estimate is based on my dependents, state, filing status and annual income. 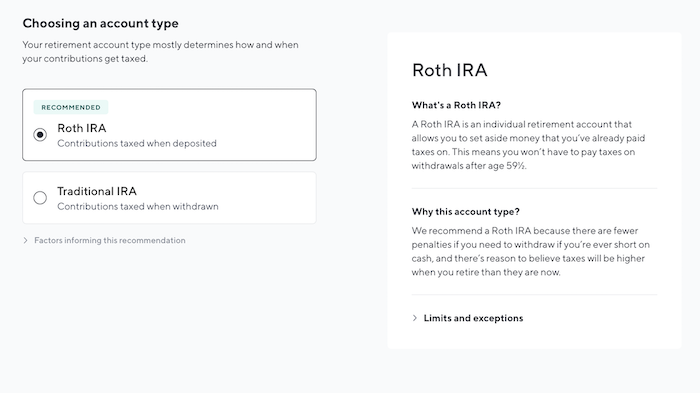 You can edit your withholding if you want more or less to be automatically set aside. 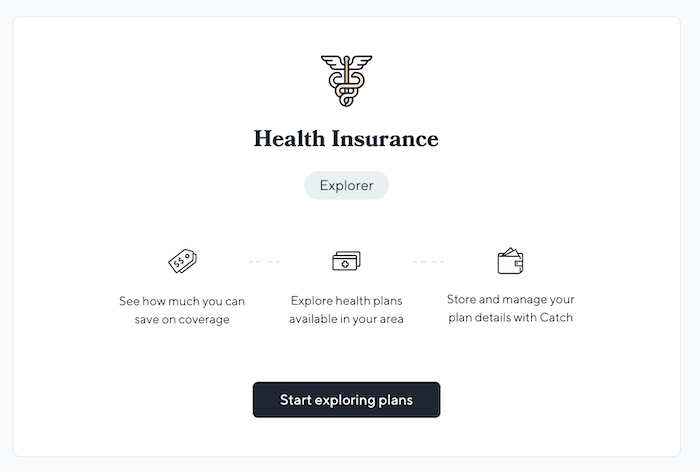 Next, I want to explore the health insurance recommendation. 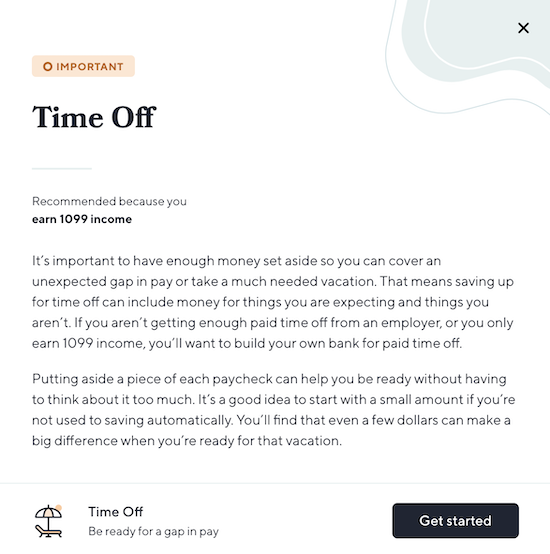 The “Time Off” recommendation is a little misleading, just in phrasing – I thought it was going to help me figure out how much time I can take off based on my earning goals, hourly rate and workflow, but it’s simply a way to save for a vacation or other extraneous expenses. 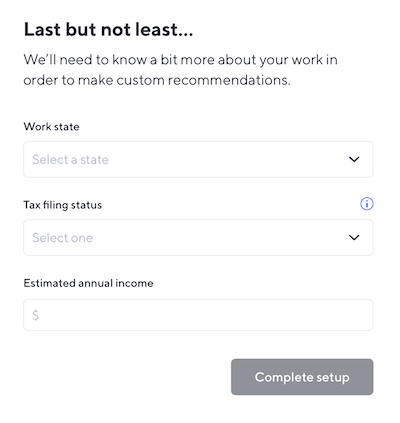 While it does have basic controls for determining how much to save based on time off, it would helpful to have some type of planning calculator here, especially since I let Catch know that I’m an independent contractor (we have to get into the nitty-gritty of billable hours vs. non-billable hours, rate, etc.). Catch figures out the percentage of your paycheck to set aside based on your planned and unplanned time off. 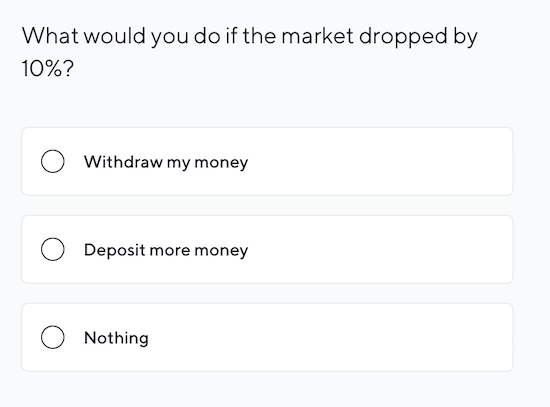 To me, this feels like an arbitrary percentage – I’m not sure how Catch determines what percentage I personally need or want to save. Am I saving based on how many days I won’t be working? Or am I saving based on the things I want to pay for? 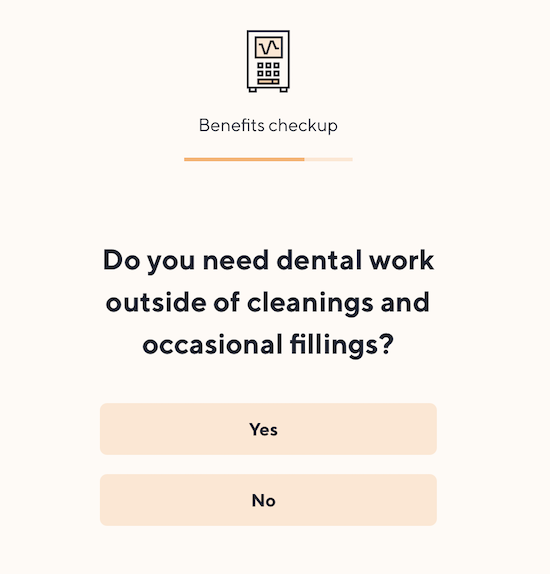 It’s unclear, and there aren’t customization options aside from adjusting your days off. As someone who doesn’t have a lot of experience with this sort of thing, I don’t feel qualified to make this decision on my own. Those assets don’t mean anything to me – they’re like reading another language. 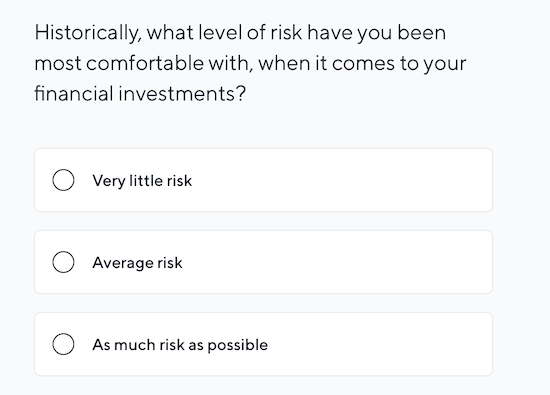 I want there to be a financial advisor I can speak with, but the chat box on the bottom seems to be for basic customer service. 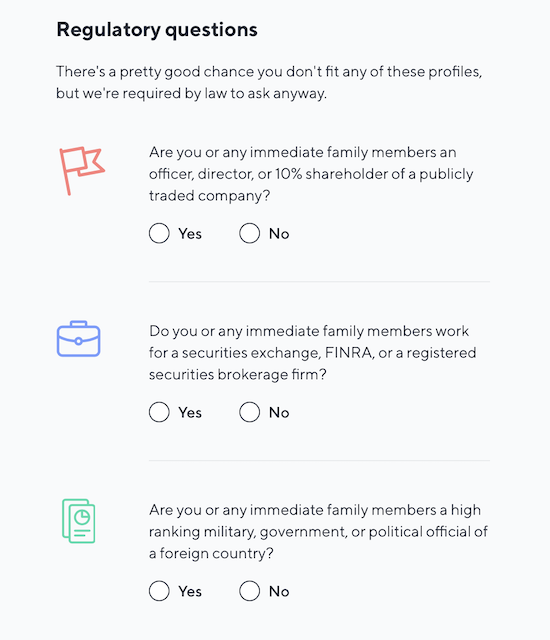 Once you choose the account you want, you select the percentage-per-paycheck to contribute. You can adjust this to save less or more. 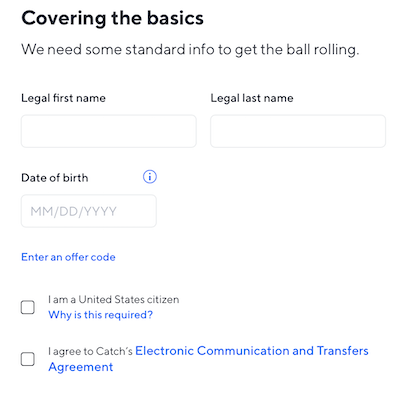 Catch has a few other savings options that you can learn more about or try out. These features haven’t been launched yet – they’re still in “coming soon” status. 529 College Savings: This type of plan lets you set aside money that won’t be taxed (similar to a health savings plan). You can then use it for tuition, books and supplies, room and board, and other college expenses. 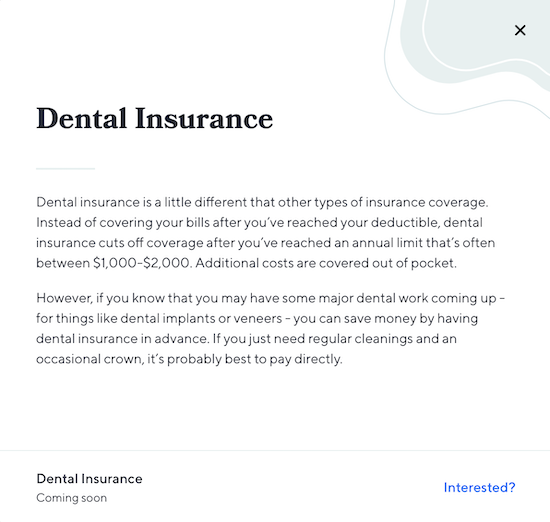 Disability Insurance: I’m unclear on how this will work – I’m not sure if you’ll choose a plan, like with health insurance, or if it’s another savings account. 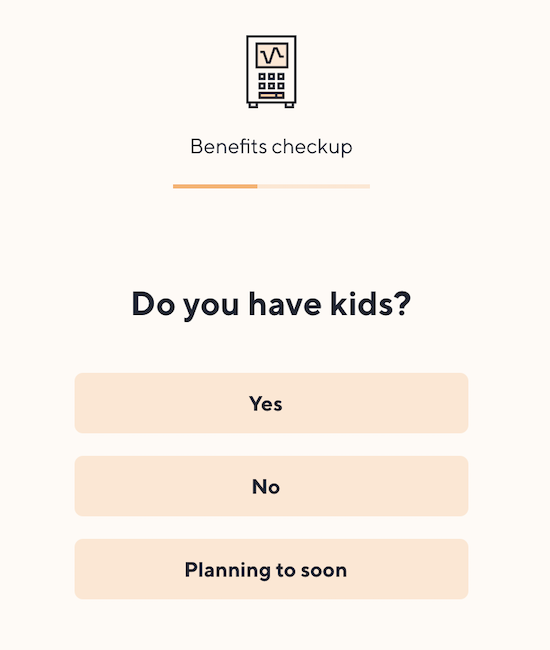 Family Leave: If you’re planning on having a baby, the Family Leave savings account lets you set aside money if you know in advance you won’t get enough parental leave. 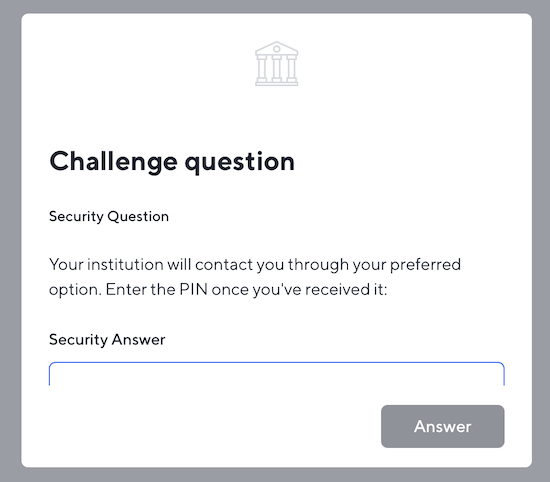 You can also make a one-time contribution or skip payments. 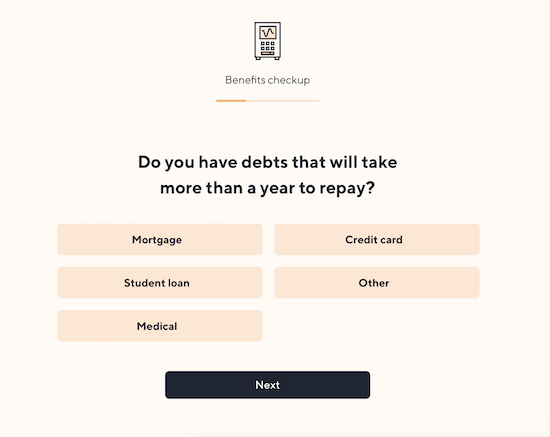 Student Loan Repayment: Manage your student loan payments and make direct payments through Catch. 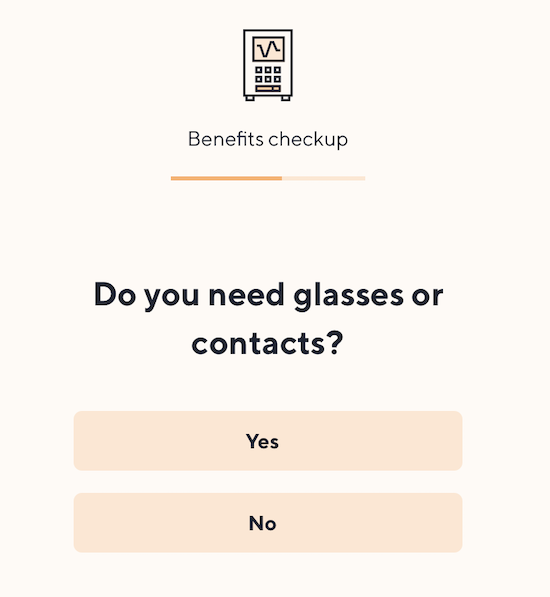 Vision Insurance: Health insurance will cover things like eye disease or injuries, but vision insurance is needed for people who wear contacts or glasses. This isn’t the cornerstone of a worthwhile app, but I can’t help but love the language that Catch uses. It perfectly combines thorough, competent guidance and explanations with approachable wording. I love how well Catch explains everything. 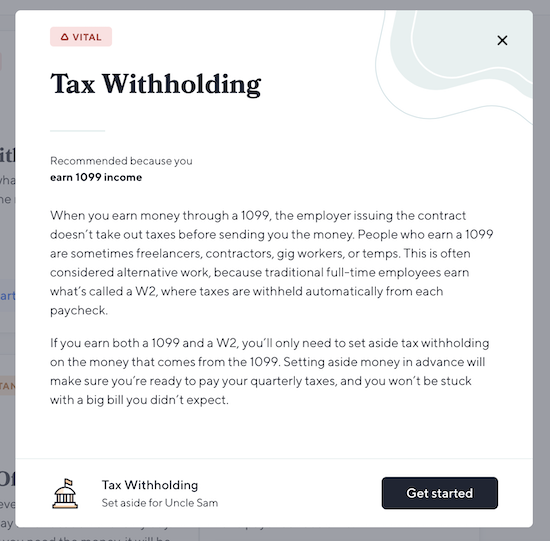 For example, when I click on “Tax Withholding” in my recommendation, a window pops up with a brief, easy-to-understand explanation of why this is a recommendation. This seems like a small issue, but it makes me feel like this app is in beta, and that’s not necessarily a brand I feel comfortable handing over my financial and personal information to. 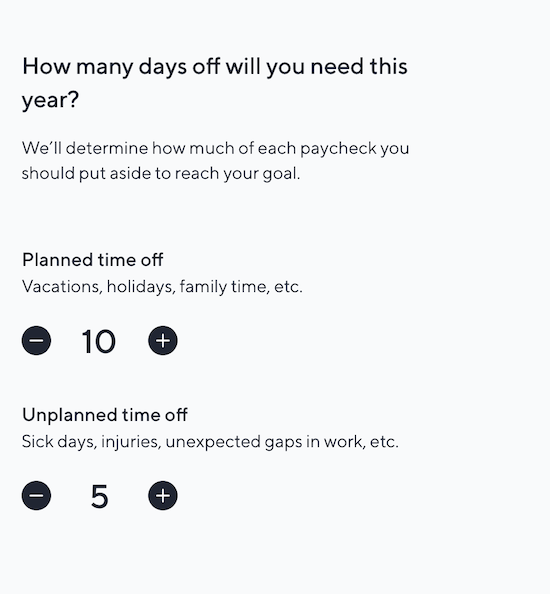 My immediate thought when I read the “Time Off” overview is that this is one category for multiple savings goals. Setting aside money for an emergency fund is different from saving for vacation or having a rainy day account. 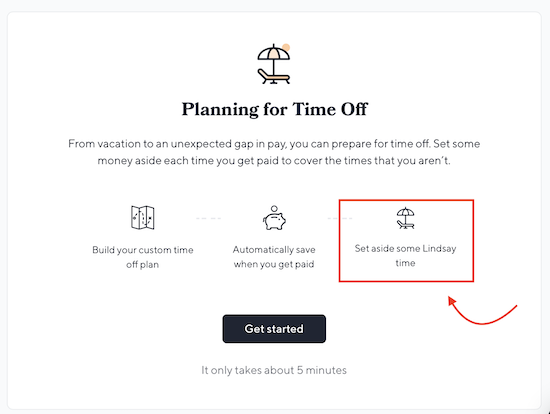 I want there to be multiple, customizable “Time Off” savings options. As it is right now, this is only worthwhile if you have a specific percentage you want saved for a generic goal. 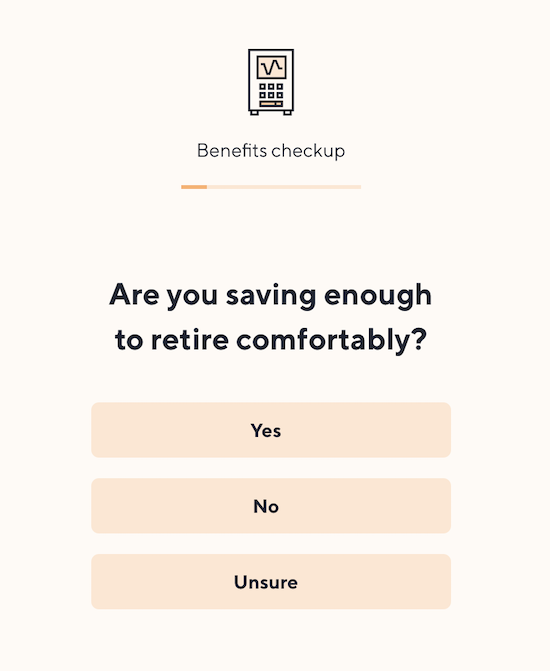 An easy-to-use app for basic savings is great, but there are some serious financial decisions to make here and no guidance for how to make them. 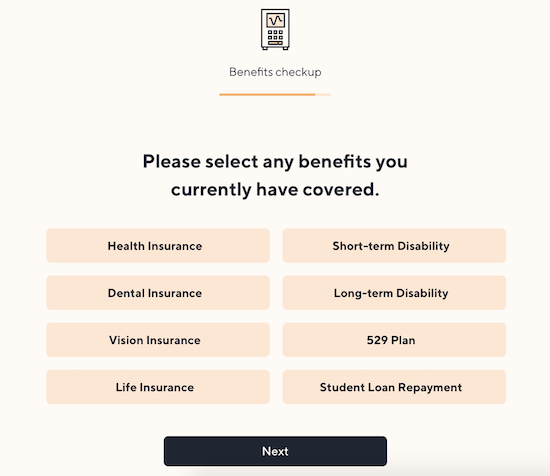 I wasn’t able to dive into the health insurance plans, but the retirement options put important decisions in my hands without enough guidance on what, exactly, I was deciding. 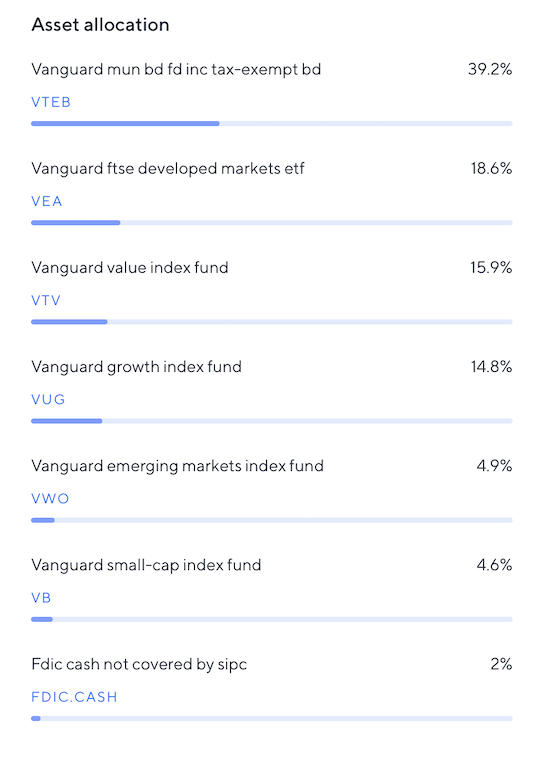 I don’t feel comfortable choosing retirement allocations based on their explanatory paragraphs – I want to speak with a professional. 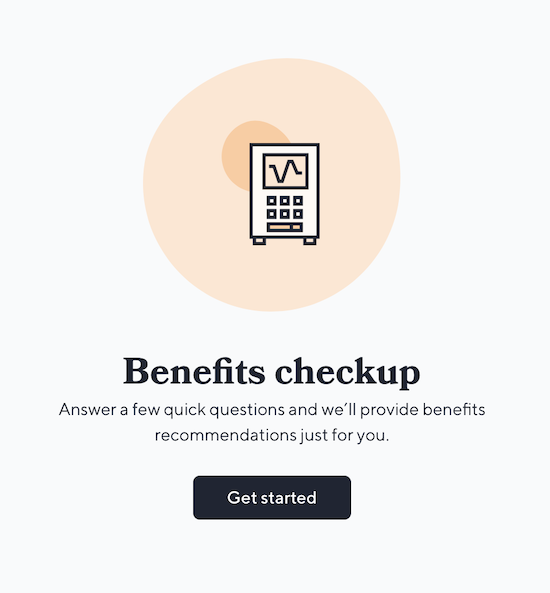 Overall, Catch feels legit when it comes to automated savings – it’s much more actionable than having a plan laid out on a spreadsheet that you may or may not stick to. However, I feel it’s best for very basic savings. The “Time Off” plan didn’t have nearly enough customization, and the retirement plan seems designed for someone who knows what they’re doing with these choices (which the layman probably does not). 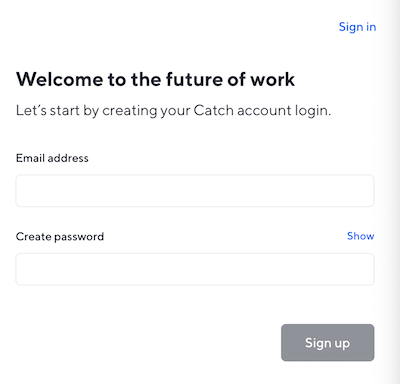 Had Catch offered an introductory (or even paid) consultation with a financial professional, I’d be much more inclined to set up my retirement planning through them. 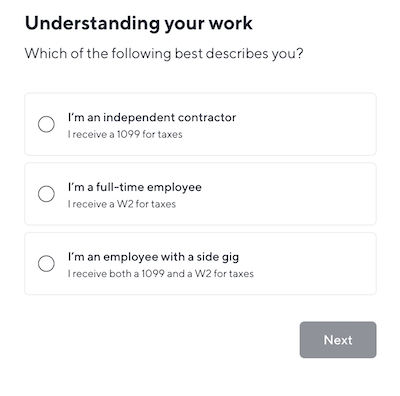 The tax withholding feature is its best, at least for contractors and freelancers. Having that money automatically calculated and taken out of my deposits takes a to-do off my list. Since it estimates a high percentage for taxes, I’ll probably have more than enough saved to pay them once my write-offs are processed. 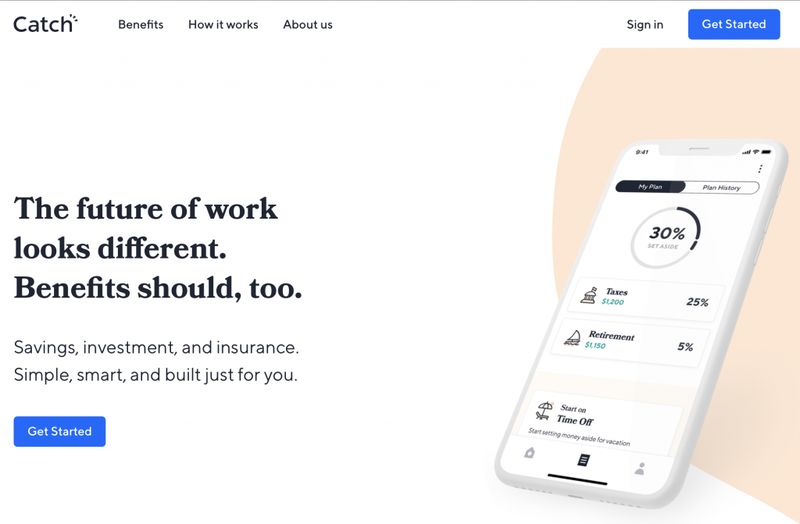 Catch may not be the only financial planning and savings app you need, but it could be a nice addition to your current system. More money equals more savings. Check out our big list of ideas for making money with your WordPress site . The post Catch.co: An Overview and Review appeared first on Elegant Themes Blog .